I am happy to accept custom orders. This necklace can be made in other colors. 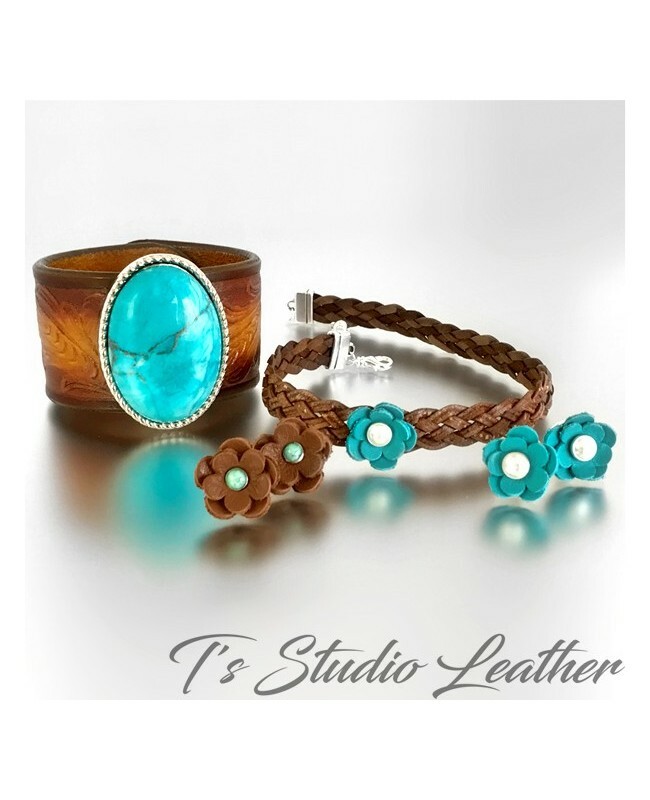 Shown here with brown braided leather and accented with a turquoise flower with pearl center. Please contact me for a custom color.